Your vision is something you should never take for granted. We make every effort to get to know YOU on a personal level; not just your symptoms. Due to the chronic nature of eye diseases we treat, our patients are accustomed to seeing us on a regular basis. We understand the stresses associated with eye disease. We also know that the uncertainty alone can be overwhelming. We commit to providing a comfortable environment as we guide you through the treatment process. We truly care about your well-being. Our doctors’ devotion to caring for our patients goes beyond diagnosis and treatment. We take the time to listen to all of your questions and concerns first. Once we have a full understanding of what you are experiencing, we intend to clearly communicate an appropriate plan of action with you. Dr. Appiah and Dr. Young both have decades of experience providing complete eye care. They have both dedicated years to acquiring high-level holistic competency across the varying sub-specialties of eye disease including: cataracts, glaucoma, diabetes related eye disease and many more. They rely on evidence-based diagnosis and strictly follow the latest guidelines offered by major ophthalmology societies. Appropriate treatment depends on accurate diagnosis. The human eye is one of the most complex organs in the body. When detecting and treating eye disease, there is no room for error. We’ve dedicated many years to understanding the complexities of the human eye. To serve you best, we combine our knowledge in sub-specialized areas with the most advanced technology available today. Our ultimate goal is to help you arrive at your desired outcome regarding your vision quickly and with as much clarity as possible. Capital Eye Consultants also offers a complete patient education center for chronic diseases. We strongly believe that our patients’ understanding of their condition plays an integral part in the overall effectiveness of health maintenance. We will partner with you to achieve your optimal care. Capital Eye Consultants has a long history of community involvement in Tallahassee. 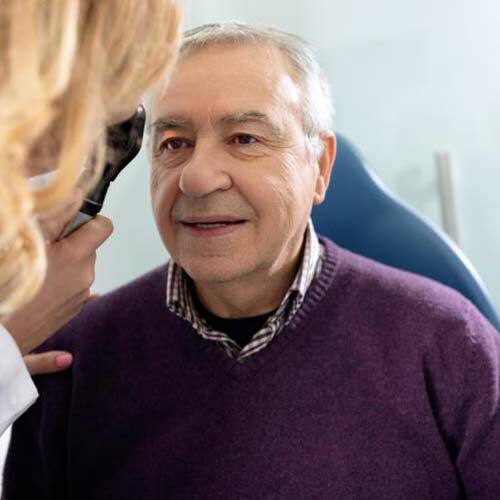 We provide eye screenings for local neighborhood clinics like the Kay Freeman Health Center, Bond Community Health Center, and Apalachee Mental Health Facility. Please do not hesitate to contact us if you have an idea on how we can apply our services in a way that gives back to the community.